Wader Quest: All in the family. My parents George and Barbara Simpson have made a very generous donation to the spoonies, for which we thank them from the bottom of our hearts. Their generosity means that we can almost feel the finishing tape cutting into our chests as we triumphantly plunge across the finishing line. But we are not there yet! The total stands at £2,749, just £251 short, but there is not much time left, 31/01/2014 is looming over the horizon! 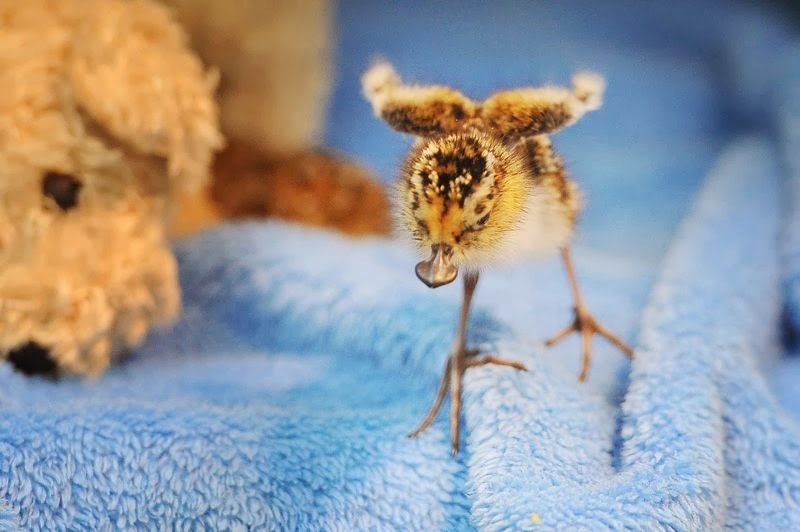 Spoon-billed Sandpiper in the captive breeding programme . Since the outset of our Wader Quest, we have been greatly supported by my parents, they have been there for us offering moral and sometimes even fiscal support when needed, often unsolicited, so we reckon they have done their bit for Wader Quest one way or another. Imagine then our surprise and of course delight, to find that they had gone one step further and made this very large donation on our JustGiving site. We are now tantalisingly close as a result, so, if you wish to see a dedicated, small-time, husband and wife team succeed in their desire to make a difference and make all of the sacrifices, stress and heartache of the last 15 months worthwhile, then dig deep; just a few modest donations will get us there, we are counting on you all to help us in this 11th hour plea. We should also thank Wader Quest South Africa once again who have continued to support us, Sue Oertli doing her Gauteng Challenge and Peter Sharland who gave yet another talk last week, the proceeds of which were donated to the spoonies. With the Wader Quest South Africa team on the River Chobe, Botswana. Tomorrow we head for India and may have limited access to the internet while we are there, but don't let that stop you donating, we'll acknowledge your contribution as soon as we can. Wader Quest talk to Brazilian schoolchildren. 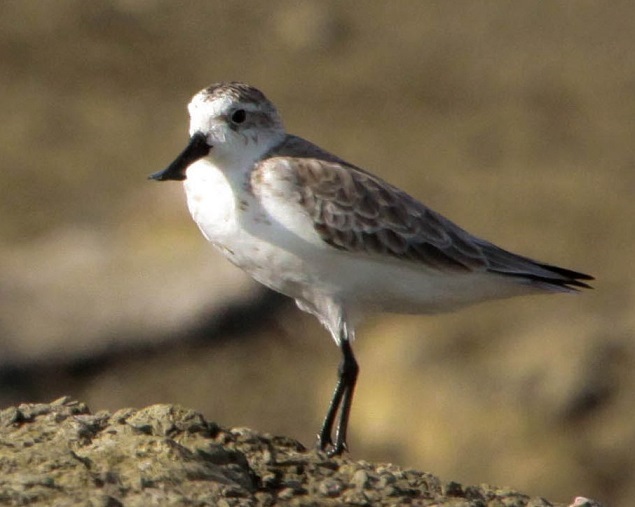 We will finish in Thailand looking for the released spoony at Pak Thale (if it is still around) and we plan to finish our epic adventure in the company of the bird we have set out to help, the Spoon-billed Sandpiper (if we can find them). Spoon-billed Sandpiper; the reason we are doing all this. It has been a long haul and we have seen some good birds and met some wonderful people along the way, it would be so pleasing in the last few days to realise our ambition to be able to donate £3,000 from Wader Quest to the Spoon-billed Sandpiper captive breeding programme.